Protecting the motoring public is a high priority for the “Elite” Fleet. Protecting children in our communities is a concern for all citizens. 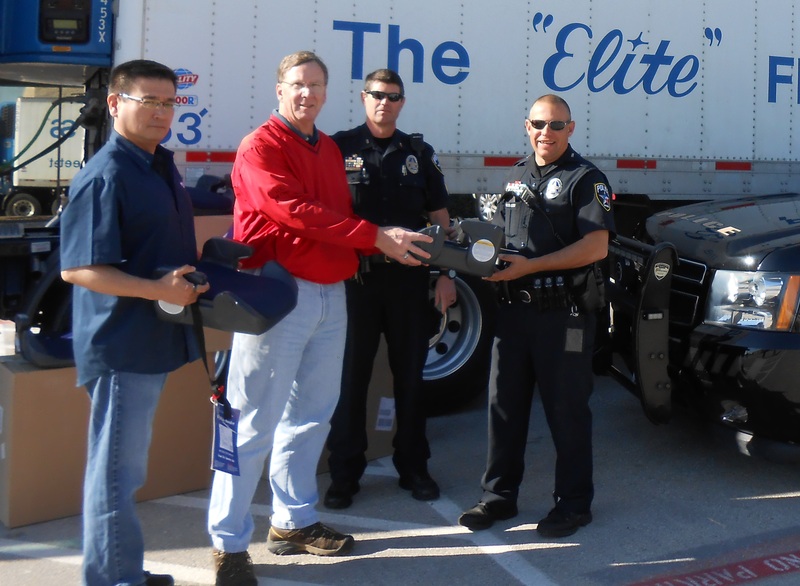 In an effort to insure toddlers are adequately protected, National Carriers has donated safety car seats to the Seward County Safety Council, The Family Place, and the Irving, TX Police Department. 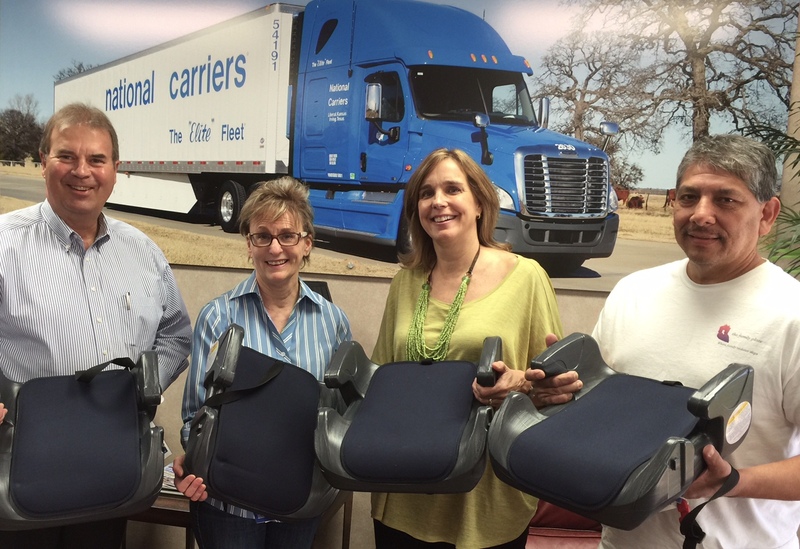 Safety Director Jill Maschmeier and Media Director Ed Kentner representing National Carriers, delivered 32 new booster seats to the Seward County Health Department for the Safety Council to give out to low-income children. Safety Council Coordinator Tina Ortiz, who also works at the health department, said National Carriers makes donations every year at various events in the community, including Cinco de Mayo, the Children’s Healthy Fun Fair and events for Black History Month. Ortiz said car seats are usually either raffled or given out at those events. 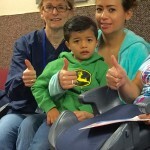 Ortiz said those efforts are just part of a process that goes on year round to help educate adults and children alike about the importance of car seats. President Jim Franck, Safety Director Jill Maschmeier pose with Meg Bittner and Michael Smith of The Family Place. Meg Bittner, volunteer and In-Kind Manager for The Family Place in Dallas, TX accepted National Carriers donation of 12 safety seats for toddlers at their facilities. The Family Place empowers victims of family violence by providing safe housing, counseling and skills that create independence while building community engagement and advocating for social change to stop family violence. Officer Greg Spivey and Sgt. 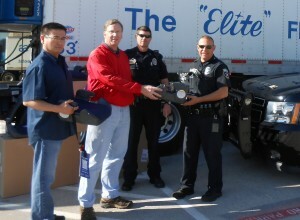 Jeff Mitchell of the Irving, TX Police Department picked up a donation of 32 toddler safety seats for their Car Seat Check Event. 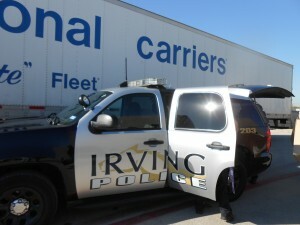 The event was held at Millennium Park in downtown Irving. 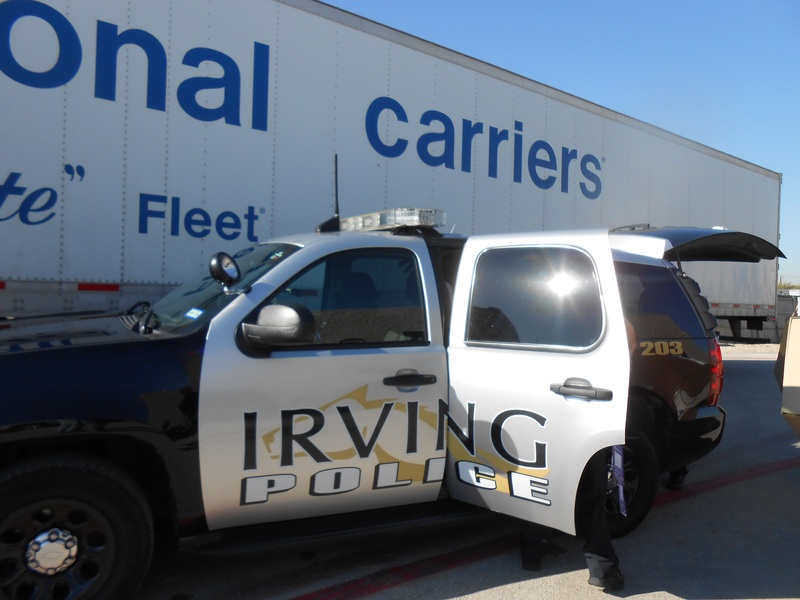 NCI Safety Manager, John Originales and NCI Vice President, Loren Bridge provided a helping hand to officers Spivey and Mitchell as they loaded the seats into their patrol unit. Police installed new seats and checked existing seats for proper installation. The National Highway Traffic Safety Administration noted that of all the children who were killed in motor vehicle accidents in 2006, almost half were unrestrained. 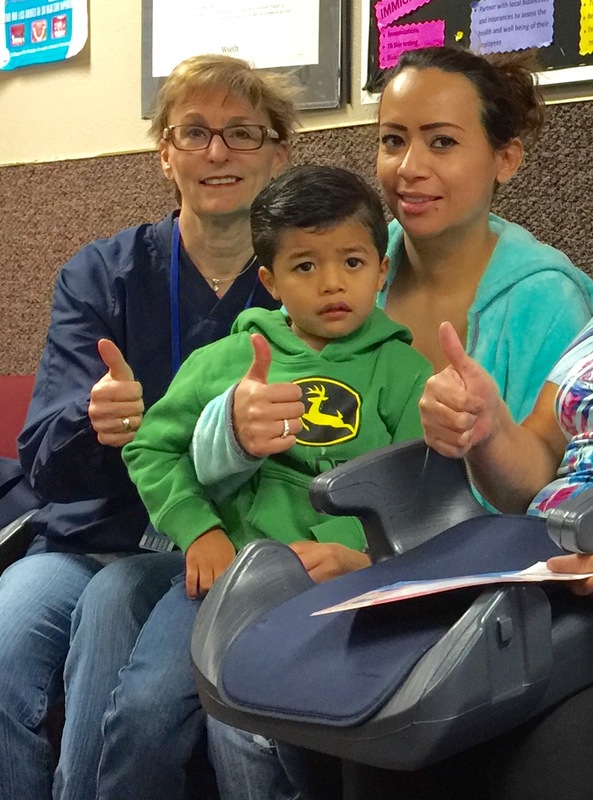 However, even when children were placed in restraint systems, it didn’t insure their safety. That’s because, of the 3,500 child restraint systems used, 72 percent were used improperly, according to the NHTSA. The restraint system that seems to be the most difficult for parents to use correctly is the car seat. Some seats are cumbersome and come with multiple harnesses that have to be installed by reading a lengthy instruction booklet. Some parents complain that it can take a frustration-filled hour or more to get a seat into place.